Sunday 1st November 2015, the UK’s first national memorial commemorating the service and sacrifice of Sikh soldiers who fought during World War One will be unveiled at the National War Arboretum, Staffordshire. 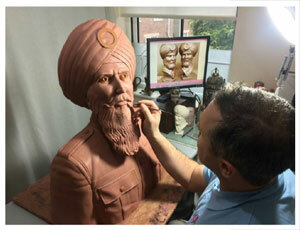 The “WW1 Sikh Memorial” is the first of its kind. 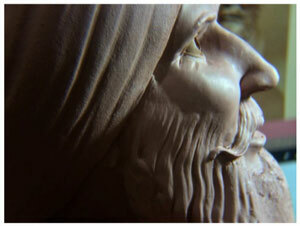 A statue commemorating the 130,000 Sikh soldiers who fought in the Great War will be unveiled in a ceremony. The Sikh contribution is remarkable, as despite being only 1% of the Indian population at the time, they constituted 20% of the British Indian Army and were represented in over a third of the regiments at the time. 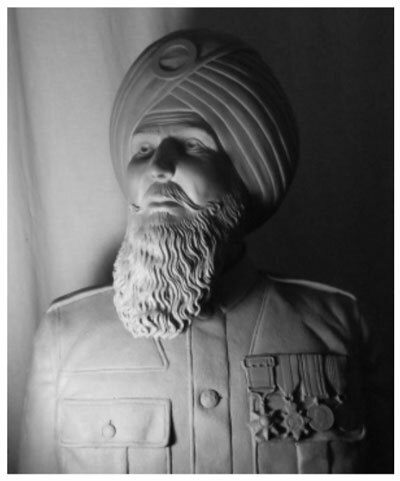 The memorial has been uniquely funded through a grassroots campaign by the “WW1 Sikh Memorial Fund” on the Kickstarter website. More than 200 people from across different faiths and backgrounds contributed from £1 to £1,000 to fund the memorial. It is an important event, as the memorial will serve to immortalise the values and virtues of the Sikh way of life which were enshrined so deeply in the men that served a century ago. Furthermore, it will serve to remind the Sikhs of today, and of generations to come, that courage, strength and determination, when combined with compassion and love, can serve as a potent elixir to conquer the toughest of life’s challenges. I was lucky enough to be involved with ‘Indians in the Trenches’ (https://www.youtube.com/watch?v=EE4wQ52znrA) a production which brought letters written by Sikh soldiers on the front lines to a wider audience. It highlighted something very important to me – that these were ordinary men from villages back in Punjab, much like the elders of the wider Sikh diaspora of today. They were people just like us. Yet here they found themselves in the utter hell of war. What made them stand out was that despite operating in extremely punishing conditions, they maintained their adherence to the Warrior’s Way – the Khalsa Way. Surrounded by death and hardship, they did not falter from their task, were ready to die, and carried out such heroic feats on the battlefield that they are still honoured today. From stories recalled by my grandparents, to gurdwara speeches, and more recently from Sikh media, I have been hearing about the deeds of our ancestors from a young age. They didn’t care about being remembered or honoured. They just did their duty and followed the Guru’s instructions. They were always prepared and their lifestyle and character made them unbreakable. To me, this is the ‘secret formula’ shared by so many of our ancestors and what I feel is conveyed by the memorial being unveiled on 1st November. In today’s day and age where courage, honour and righteous action are often sacrificed for popularity and wealth, as can be seen in the current situation in Punjab as well as the wider world, this memorial will serve as a powerful inspiration to both young and old. We may not be engaged in a physical war but the conflict against our inner evils forever rages and if we are to make an effective contribution to today’s broken society we must begin to walk the Way of the Warrior. Lo! All tremble at the Khalsa’s sight. And if we can do it, so can you”.